This is my monthly summary of my free software related activities. If you’re among the people who made a donation to support my work (167.67 €, thanks everybody! ), then you can learn how I spent your money. Otherwise it’s just an interesting status update on my various projects. After the successful crowdfunding campaign, I had a bunch of rewards to ship: I subcontracted most of the job but I had to take care of the books with dedication. I also dealt regularly with books/stickers coming back to the sender (due to invalid address or people not picking up their parcels in the post-office). After the rewards, we had to take care to actually finalize the liberation of the French translation. I merged the translations we had in Git and Roland updated/translated a few strings that weren’t in the original book in French. Then I have put the book online. 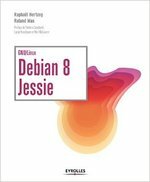 Last but not least, I started to work on updating the English book for Debian 7 (Roland started way before me) and we have put some updated chapters up for review. Elections. After Debian France’s general assembly, the new board of administrators voted the officers: I have been re-elected as President, Sylvestre continues as Treasurer but we have a new Secretary in the person of Alexandre Delanoë. Welcome Alexandre! I did the administrative work to register the new board/officers in the « Tribunal d’instance » and to give access to the internal git repositories to the new members. Accounting. I worked on the accounting to bring it up-to-date so that Sylvestre can pick up the work from now on. We’re learning how to best use ledger for our needs. I continued to spend about 12 hours a week to mentor Marko Lalic who is rewriting the Package Tracking System. I’m pretty happy with the results so far so I marked him as “pass” for the mid-term evaluation required by Google. You can have a look at the documentation and the web interface is starting to show some content. The email interface is fully working and I have configured the real PTS to forward all mails to our test instance (pts.debian.net) so that you can use the rewritten PTS for real-life work. Mail your subscription commands to control@pts.debian.net and start using it! I also packaged python-django-jsonfield (still in NEW) since Marko has been using this python module in his code, and filed bug #717900 on sqlite3 to raise a limit that we have hit with queries made by the PTS. I used the Calxeda Highbank node donated to Debian by Offensive Security to test the new -armmp kernel flavor on it. It seemed to work except for a missing network driver (filed in #717269). Issues with social networks. 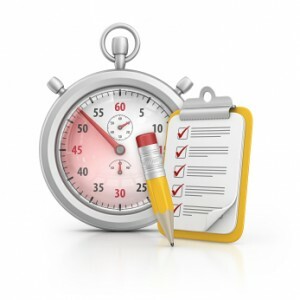 With the move of identi.ca to pump.io, we don’t have any possibility to auto-post status updates based on RSS feeds. Identi.ca’s @debian account was also configured to push updates to the @debian account on twitter.com (and from there it was grabbed in the Debian page on Facebook). This is also gone… so to limit the damage, I setup twitterfeed.com so that the twitter/facebook accounts continue to have updates). If you’re looking for a development project, here’s an area that is not well covered by free software! We need code to do what twitterfeed does… and we need that code to also support pump.io. Dpkg work. It’s been a long time since I last pushed some code to dpkg’s git repository. I took care of reworking and merging a patch submitted by Steve Langasek to fix #716948 (an issue with dpkg-maintscript-helper rm_conffile messing with conffiles that the package no longer owns). Git mail notification. When I was still administrator of Alioth, I wrote git-commit-notice (a fork of Git’s post-receive-email) and many packaging projects are using this hook script to send commit notices to mailing lists. This script has not been updated for multiple years and it started spewing warnings recently due to deprecated features in Wheezy’s git. So I looked at updating it and while doing so I discovered a much better replacement with git-multimail. Thus I adapted git-commit-notice to work on top of this new script. The result has now been installed on git.debian.org (this is to be properly announced in the next DeveloperNews). Misc work. I packaged sql-ledger 3.0.5-1, forwarded #714739 on publican, and I participated in discussions to move the French Debian planets to planet.debian.org. The PTS rewrite is looking great. Is there a roadmap somewhere? Any targets for people to help with that are outside of the scope of the GSoC project. Thank you for the good work you do with Debian. I just wanted to know if you’ve experienced a problem with shutting down in KDE desktop environment on Debian? Sorry Omotola, I’m using GNOME 3 in Debian unstable and I have no problem. the link to the DeveloperNews section (in the paragraph about git notifications) is broken. Question about the new git-commit-notice script. Is there an easy way to get the old behaviour back? I looked at the multimail documentation, but the multimailhook.from setting seems to only allow a static value. Hello Thomas, I noticed this too and currently the answer is no, there’s no easy way yet. On the positive side, there’s a Reply-to that points back to the commit author. So you can still reply and have the expected behavior.